Texas, we need your help: make a phone call for freedom today! The fight to end slavery needs your help: will you make one phone call for freedom today? Senator Cruz is preventing the End Modern Slavery Initiative (EMSI) from coming to a vote. The EMSI is a game-changer. 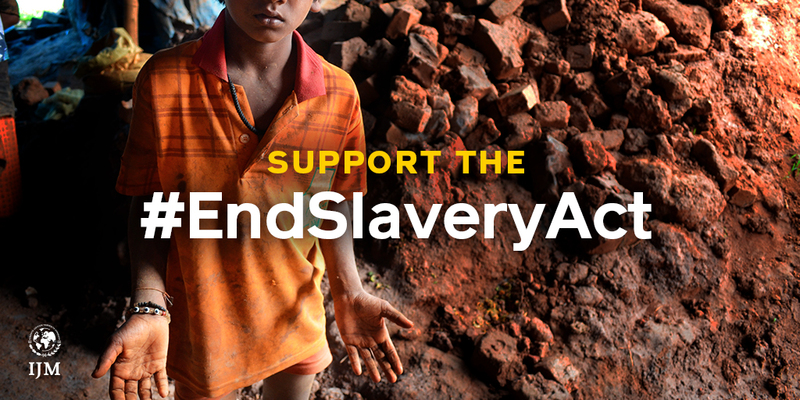 This bill will bring freedom to millions of people living in slavery today—but ONLY if it passes. Please ask Senator Cruz to allow the EMSI to come to a vote. Ask to be connected to Senator Cruz's office. Hi, my name is [YOUR NAME] and I’m calling from [YOUR HOMETOWN]. I’m calling to ask Senator Cruz to allow the End Modern Slavery Initiative Act, or S.553, to come to a vote. This legislation would strengthen the U.S. response to modern-day slavery around the world, an issue I care about deeply. Would you please pass my message on to the senator? Thank you! A simple phone call from you could make the difference—further proof that you have an important role to play in the fight to end slavery. Invite others in your community to join you in taking action by sharing on social media. Image and suggested text below! Ask Senator Cruz to let this crucial bill come to a vote.